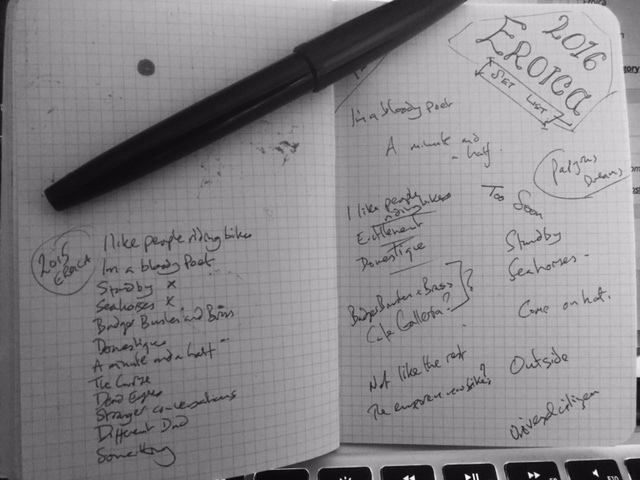 For a quite while I have been struggling with how to describe myself as a poet. People are perhaps familiar with the terms “performance poet” or “page poet” and then there are the “slam poets” and those with specific styles like “punk poets” or “beat poets”. When I refer to myself as a “poet” people invariably ask me what I do. Well of course I can say that I write poetry but of course I do more; but do I perform? In essence I feel that performance has an element of putting on a persona, or being something different from what you are when you are away from the stage or microphone – it conveys an element of acting. I realised that when I’m in front of an audience or a microphone I’m not acting. What the audience gets is me, Seamus Kelly the poet, telling you things in my own words, with my own emotions and with my own character; the same one you’d find if you talk to me about art, politics or bike racing. It isn’t a performance and I’m fairly clear that I’m not a performance poet. As for being a “slam poet” I’d not count myself in that group, I’ve done a couple; but over a period of over 10 years I don’t think that qualifies me as a slam poet. 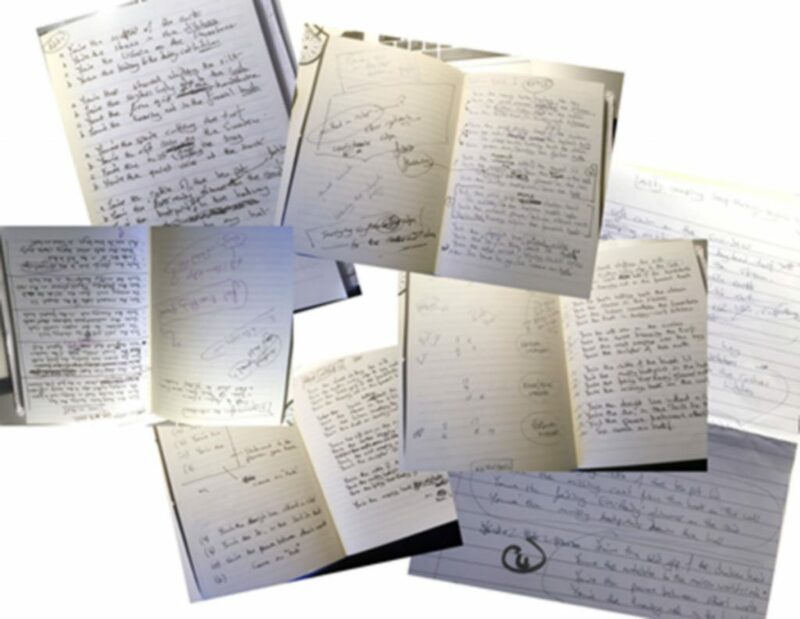 I do write poetry on some sort of page, in a notebook, on a computer, on a tablet and a couple of times on a phone and I’ve turned some of them into a collection in the form of a book for people to read. So all my poetry exists on the page but far more people have heard my poems from my lips than have read them on a page so I’m pretty sure I can’t really be a page poet. I’m certainly neither a punk poet or a beat poet. So what kind of poet am I? It might seem strange to be vexed by such a question but I know that others have the same dilemma and some very well known poets have had issues around being categorised as performance poets when they are just being themselves and not putting on an act. This has actually exercised my mind on and off for some considerable time but today I think I’ve come up with the answer. Comments and questions very welcome…. 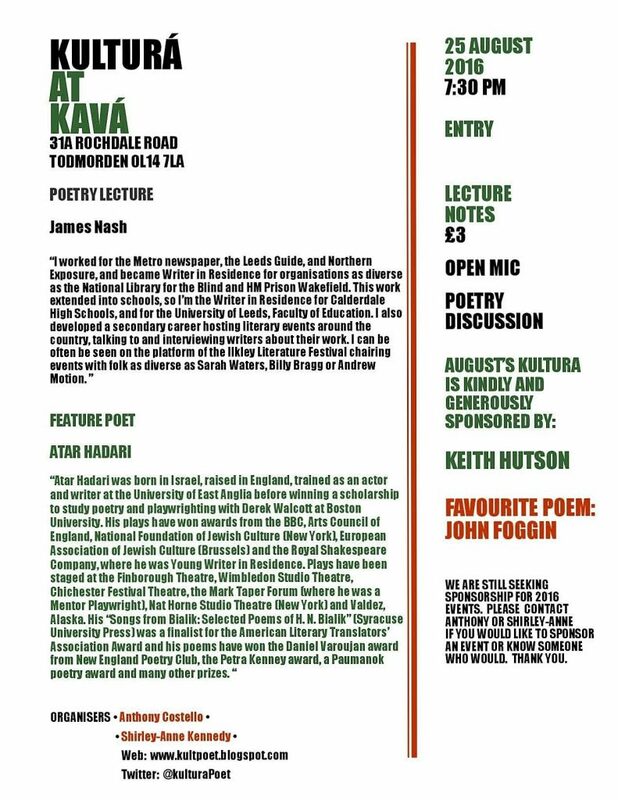 A short trip up the road to Todmorden for Kultura at Kava is always rewarded with a mixture of quality poetry, unexpected insights from the guest lecturer and of course and excellent cup of coffee. The guest lecturer last week was James Nash, top Yorkshire poet, who gave an interesting talk about how growing up in urban environments and now spending a significant proportion of his time in the country has influenced his writing, reading and life. He referenced influential writers, poets and songwriters and I particularly enjoyed the section about walking along a dark country lane in Wales with references to both Wordsworth and Henry Vaughan. Having spent much of my time in the country James’ experiences often contrasted with my own and I was inspired to draft a little piece after the lecture reflecting my own experience of the total darkness in the countryside as a teenager. Feature poet for the night was Atar Hadari, Israeli born poet, writer, playwright actor and mentor with a mix of poems giving new ways of looking at familiar stories from the Old Testament in his own words and translations of works from other writers. He read from his translation of Bialik, from his own book, Rebrandt’s Bible and spoke fondly of his mum rescuing the lamps of deceased Jews. Entertaining, thought provoking and (for some perhaps) a little controversial – great stuff. Anthony Costelloe, Shirley-Anne Kennedy, Jessica, Jonathan, Simon, Annie, Robert, John and myself. There are only a few more of these monthly sessions left, as after three busy and successful years, Anthony will be folding up his compere’s music stand with a final flourish at the end of this year. And did I mention the coffee – it will still be served at Kava after Kultura has gone…. What a great time I had on the radio yesterday afternoon. 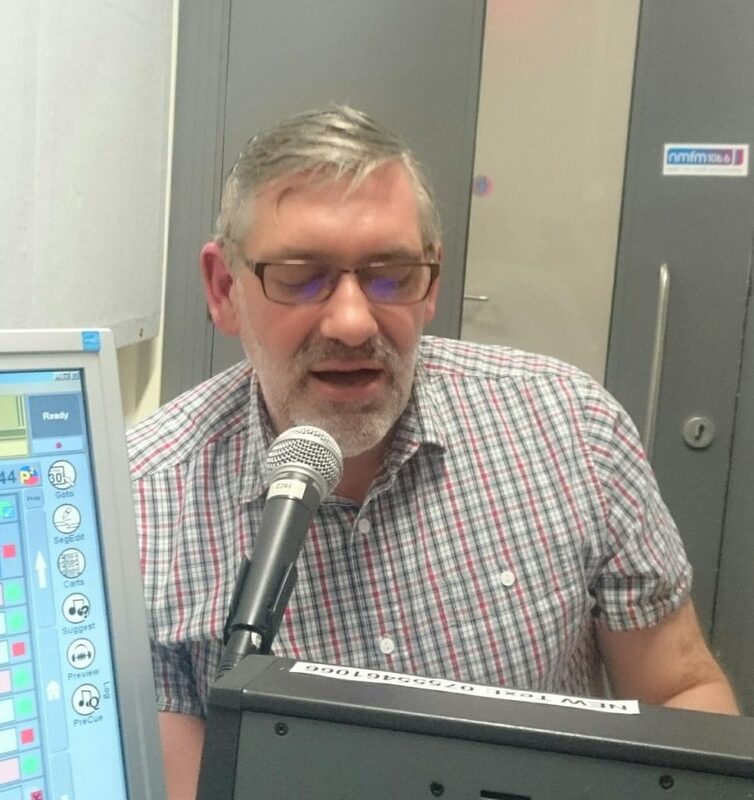 Having appeared in a brief slot to read some poetry on North Manchester Radio back in July I was delighted to be invited back as the guest on Hannah’s Bookshelf yesterday. 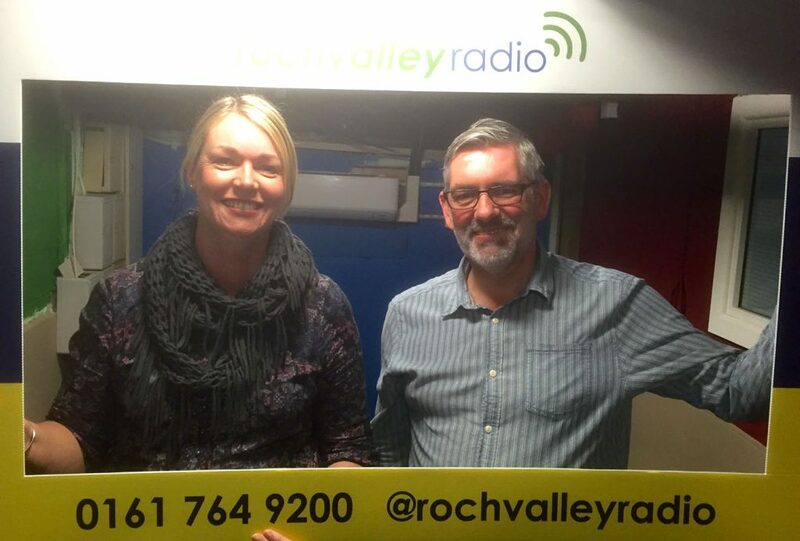 You can find the program on North Manchester Radio HERE. 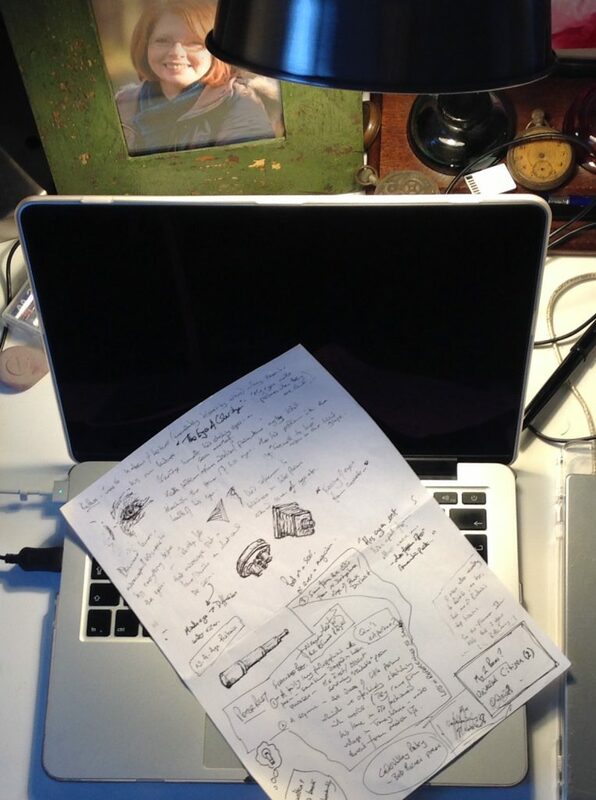 For a reading, performance or a workshop we (writers and poets) can always prepare fairly comprehensively; usually having a plan with a few extra options so that it can be varied to fit the mood and needs of the audience. As a guest on the radio that preparation is a little different. In this case I knew the show consisted of two sections. In the first I’d be chatting about writing and poetry so it was just a case of having poems, being myself and being prepared to discuss whatever came up. In the second I would talk about three books I’d choose to save in the event of an apocalypse; for this section I could have a good think in advance, select my books, find something to say about why I’d chosen them and make sure they were not already saved by previous guests. Each guest on Hannah’s Bookshelf selects three books and the choices are added to Hannah’s The Library at the End of Days which is well worth a look and gives an insight into the range of guests on the show. My choices will be added to the site shortly and are titles by Gerald Durrell, Pablo Neruda and Seamus Heaney. The whole show will be available online in a couple of days and I’ll post a link HERE. Hannah has a great, relaxed and supportive style and the discussion flowed naturally including how I first got into poetry, when we reach the point of calling ourselves “poets” and a discussion about some of the things poets do as well as writing poems (e.g. workshops, events, readings, listening to and reading other poets etc.). 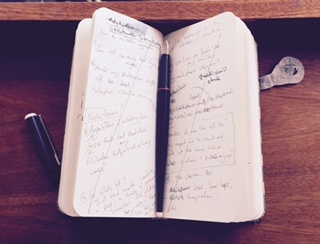 A handful of poems were added into the mix and two hours simply flew by. Great fun this radio stuff and it certainly gets easier with practice. 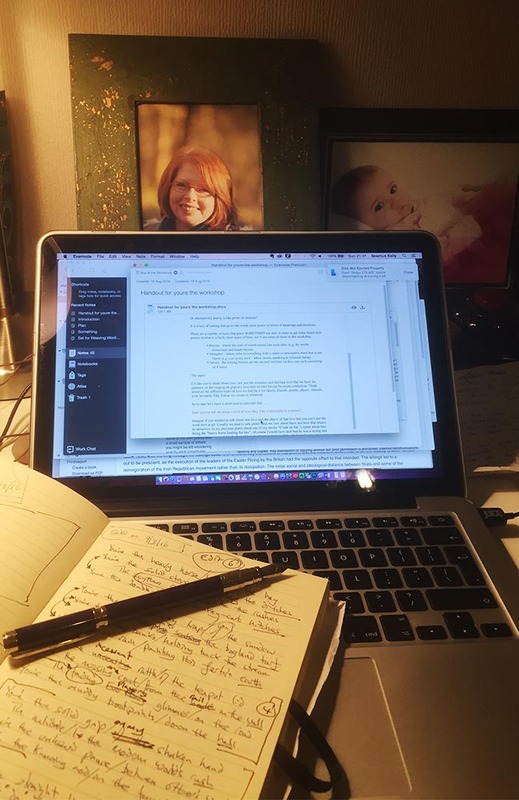 With my performance and workshop due tomorrow evening (Monday 22nd August) I had a look over my notes as final preparation – watched over by photos of two very special ladies. 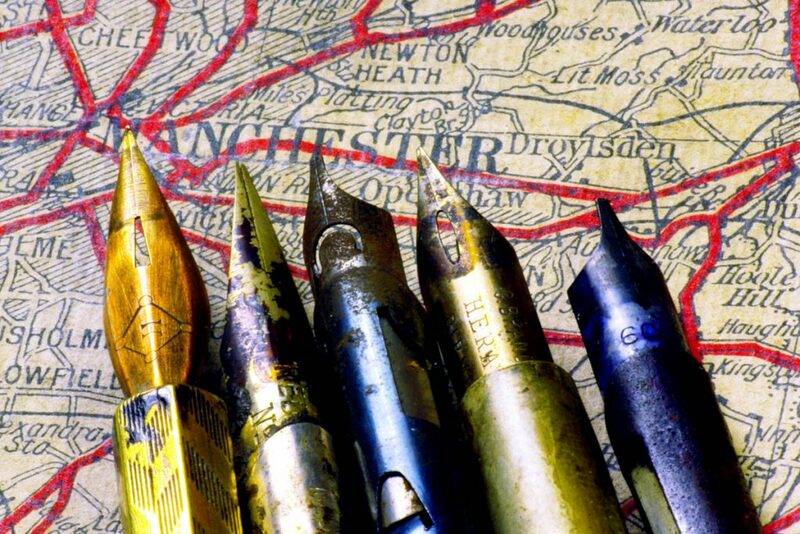 The session, organised by Weaving Words and Rochdale Library Service, takes place at Heywood Library and starts at 6.30pm with tea, coffee and biscuits and will run until about 8.30pm. 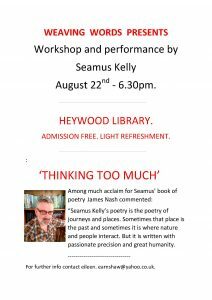 After a performance of some of my poems including some of my newest ones as well as some from my book Thinking Too Much I’ll be leading a poetry workshop. The session will be suitable for experienced and aspiring poets as well as those who haven’t tried their hands at poetry. 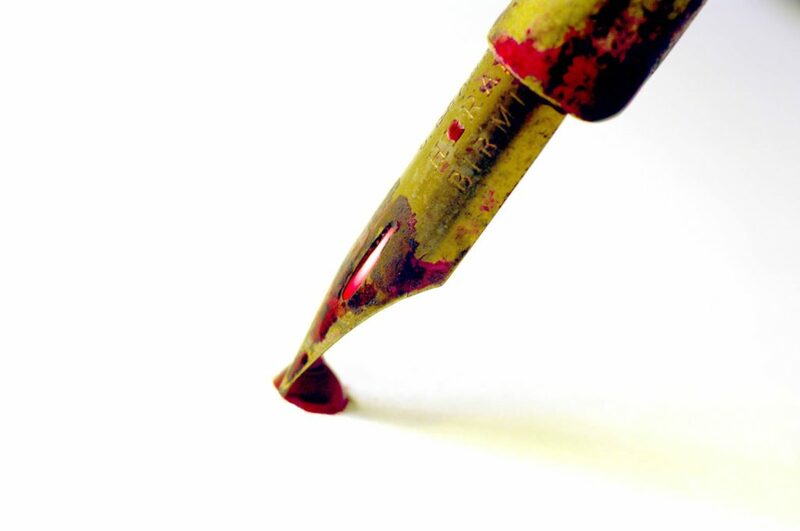 We’ll look at what poetry is all about and then of course, with some support and prompts, everyone will have the chance to produce and perhaps share some brand new poetry. Most of all we should all have fun. We’ll finish with a chat and for those who’d like to there will be a chance to buy a copy of my book. It is always a privilege to see and hear brand new work, brand new ideas and to help people discover their own capabilities so I’m really looking forward to the session and it will be nice to catch up with Weaving Words group. If you are looking for something a little different, something a little more intellectual, something more sophisticated or just a poetry evening with really good coffee then Kava Cafe in Todmorden is the place to go. A monthly session, run by Anthony Costello and Shirley-Anne Kennedy, Kultura takes a different format from most open mic poetry events with a guest lecturer, a feature poet and a reading and discussion of a favourite poem all of which is followed by an open mic session generally with around 8 slots available. It is also unusual in that the majority of the audience does not consist of those aiming to read in the open mic. 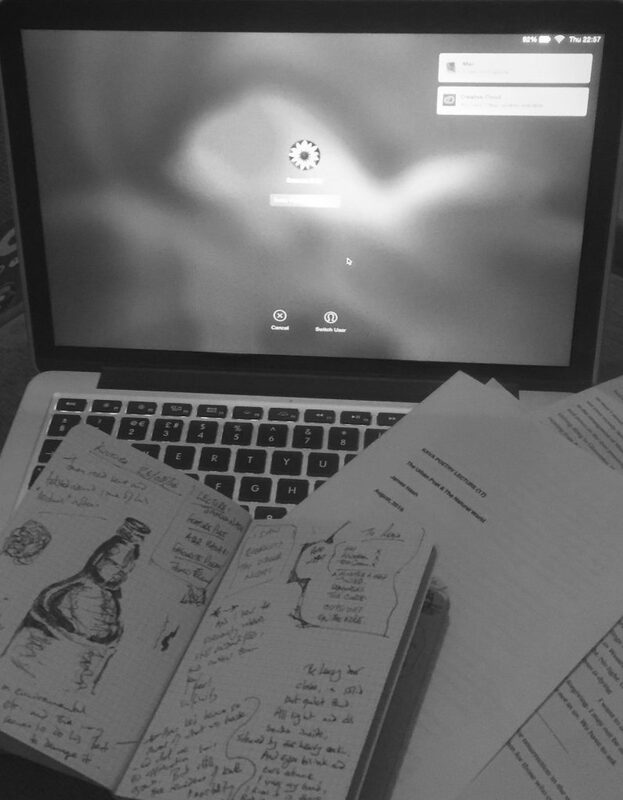 All of this leads to an informative, thought-provoking evening with plenty of entertainment. The next Kultura will take place on 25th August 2016 and the poetry lecture will be by James Morgan Nash and the feature poet is Atar Hadari. For this session the guest lecturer was unable to attend and that slot was filled at short notice by Anthony Costello himself and his chosen subject was “The Eye of Coleridge”. As is often the case I was unsure whether the subject would prove interesting and as is also usually the case I found it interesting, informative and entertaining – a particularly good job by Anthony considering the short notice he had for preparation. There were elements of Coleridge’s personal life and health that were knew to me and with examples of references to eyes in his work and his view s a seer or magician there was plenty to learn. The lectures are available in printed form at Kultura including copies for previous lectures. The feature poet for the night was Peter Riley, award winning author of 10 books of poetry as well as being a well respected editor and essayist. Peter read his “earliest readable poem” and also from a sequence of verse written in his time in a traditional village in Transylvania which was under threat from modern life. 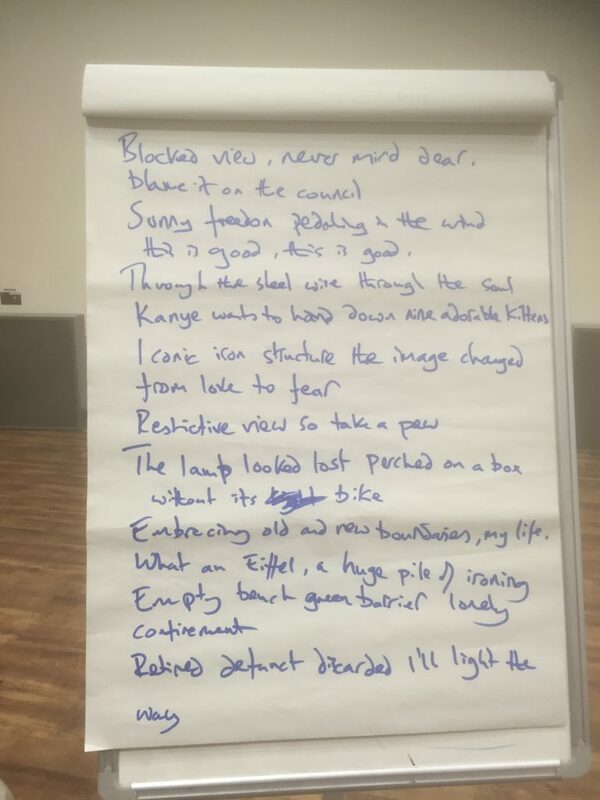 Perter followed these with a few poems from north Derbyshire and the edge of the Peak District. 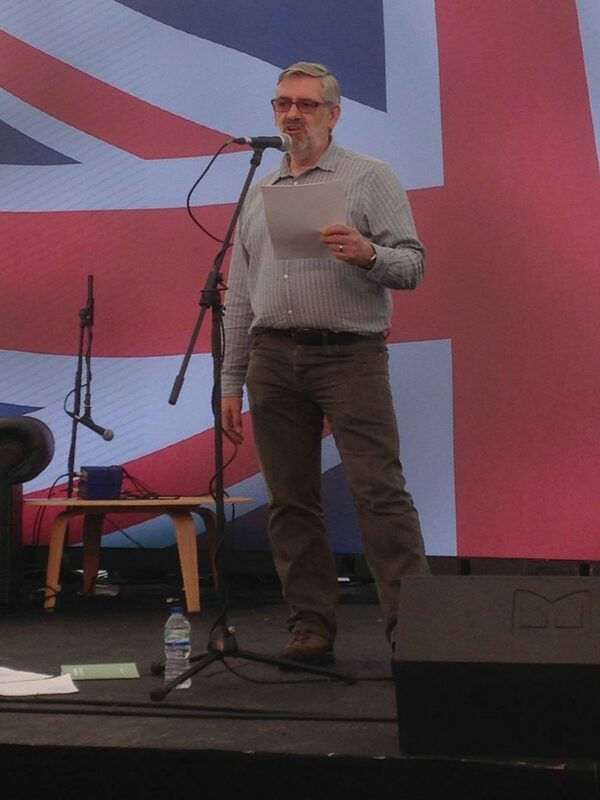 Peter’s poems, which are full of atmosphere and create great little sketches of the places and people, were very well received by the audience. Gaia Holmes shared and led the discussion of “Homing” by Liz Berry before an open mic session with 8 readers closed the session. All are welcome and the session will start, as all the best session do, with tea, coffee and biscuits from 6.30pm to 7.00pm. Costs are kindly being covered by Rochdale Library Service and there is no charge for the session. I’ll read a few poems from my book, Thinking Too Much, plus some newer work and then lead a workshop designed to get everyone writing some poetry. Whether they’ve never written poetry or are past-masters at the art I promise that participants will come away with something brand new to be proud of. They’ll probably even want to share their work with their fellow attendees…. After the workshop I’ll be speaking about all things writing with Eileen Earnshaw from Weaving words there will be time for a chat and of course a chance to buy copies of my book.